The Basil Boheme Saddle Cover comes in light green and adds an instant kick of colour to your bicycle. Perfect for keeping your saddle dry in rainy conditions, this cover makes those gruelling rides more comfortable and adds a little touch of character to your bike thanks to its impressive bohemian print. 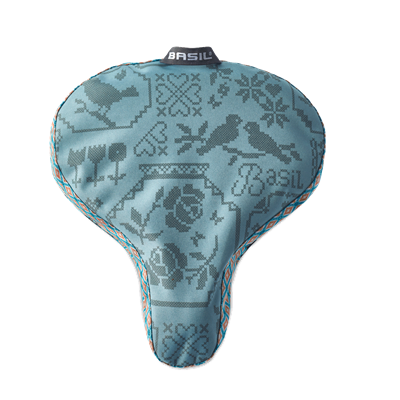 Stylish saddle cover with bohemian inspired print. Water-resistant fabrics keeps your saddle as dry as possible.